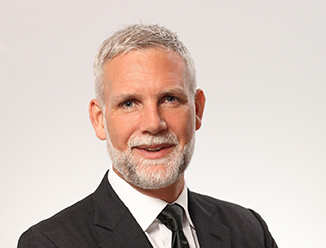 Ben Duncan is the President of North Asia and CEO of Greater China, Advisory Services, CBRE. He is responsible for 27 offices in mainland China, Hong Kong, Macau, Taiwan, Japan and South Korea, and works with our country leadership on enhancing our client offering and furthering our strategic goal of becoming a truly world class organization. Mr. Duncan has 20 years of real estate experience, 14 in Asia Pacific. He has worked in three of the world’s leading financial markets—London, Hong Kong and Tokyo—and advised clients on projects in 14 countries. His comprehensive experience covers the full spectrum of advisory services from project leasing, strategic dispositions and asset management for owners, and portfolio management, tenant representation and strategic occupancy planning for tenants. Prior to joining CBRE, he was based in Hong Kong where he led teams responsible for the marketing of major office developments including Two International Finance Centre (2 IFC), Chater House, and Three Pacific Place. He played a key role in developing Tenant Representation and services, applying his wide-ranging experience to help multi-national clients implement creative strategies in competitive marketplaces.